Have I told you how much I love my doTERRA Petal Diffuser, oh yea, that’s right I wrote about it a couple of weeks ago. My family really has fallen in love with it and loved it so much we now have two diffusers in our little camper. My hubby picks out the oils for the night and I think he loves it more than me (shhh, don’t tell him I know!). My story: The girls met a friend (nickname M&M) and really got to know her and asked if she could spend the night. We don’t allow this often since we’ve been on the road because most the time we have just met the parents. The girl’s step-mother was a little hesitant because she has very bad asthma. So Huggs looked up what might help clear passage ways and help you breathe better. When she came over we asked her to smell the two oil picked out and M&M said “no, I don’t like smelly stuff”, but Huggs said” just try smelling it and see if you like it.” M&M smelled Breathe and Peppermint and said” I don’t like them, I love them!” The next morning M&M said” those oils smelled so good they helped me breath real good and made me sleep soundly and can I come back!” Success, I was happy she made it thought the night, had no attacks and most of all over the oils! If you think doTERRA could help you or want to learn more than don’t forget today is our LIVE webinar; an introduction to doTERRA essential oils and natural health care solutions! Here’s the specific access info for you to join us on this webinar. SO excited!! See you tonight! Did I mention FREE stuff for YOU?! 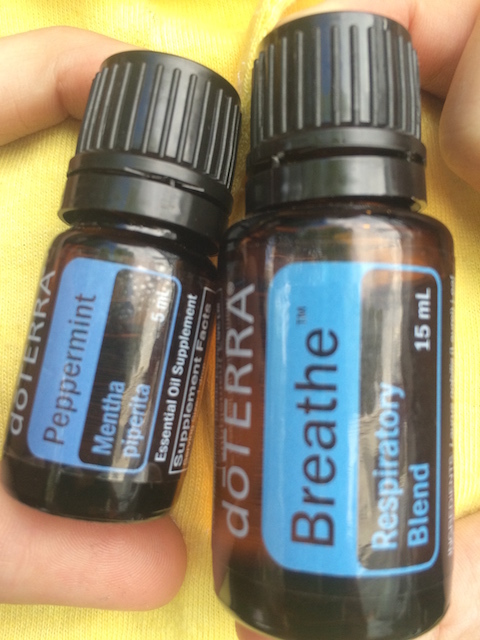 This entry was posted in Fulltime Tips and Tricks, Unschooling and tagged asthma, Breathe, doterra, essential oils, full-time, peppermint, rv travel by Chrissie. Bookmark the permalink. Keeley Olson just wondering how you and baby are doing? And if you had anymore question? Have a wonderful day!! I have a high risk pregnancy so I just have to make sure. Thank you for all the information!!!!! I will (: I’ll have to talk to my Dr to make sure it’s okay. And if so I for sure want some. How much is it? Keeley Olson breathe and lavender would be perfect and has helped me a lot. I use 2 drops each in a diffuser. Tonight Amber ( my lead consultant is doing a Q&A). And would be great for the baby – I remember those days.